Westmead’s new registered nurses Andrew Romero, Eliana Azouri, Selena Pan, Pardon Gondo, Yuan-Ming (Clare) Yeh, Denise Almonina, director of nursing and midwifery Kate Hackett and deputy director of nursing and midwifery Alecia Daly. Westmead Hospital has welcomed 34 registered nurses and midwives to its expanding workforce. 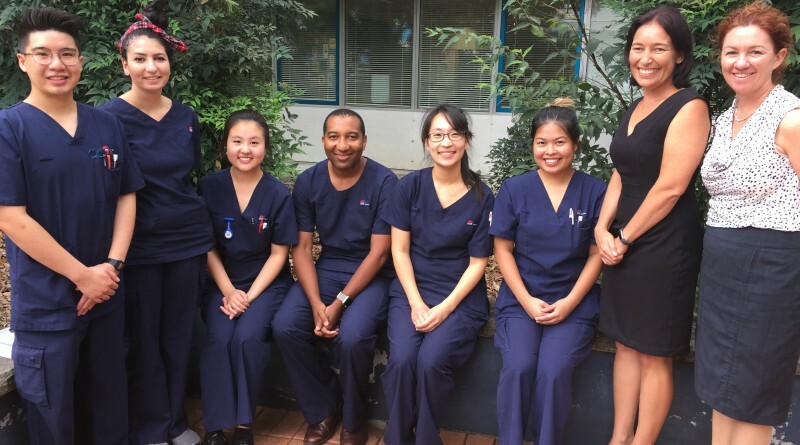 These nurses and midwives have completed their graduate year which they started in 2018 and are ready to continue their careers in one of Sydney’s busiest tertiary hospitals. Westmead Hospital’s Director of Nursing and Midwifery Kate Hackett congratulated the enthusiastic team on completing their first year of nursing. “Congratulations, you have all come a long way and have learnt experienced a lot,” Kate said. “You’ve all experienced many changes and emotions throughout this journey and commencement of your careers. “It’s been challenging and has also had its rewards and has helped you grow and gain confidence.